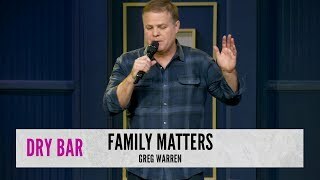 In addition to his television and festival appearances, Greg continues to tour all across the country, performing his act at clubs such as the Funny Bone and the Improv. Greg's background recently resulted in a gig doing color commentary on college wrestling for Fox Sports Midwest. Greg's Midwestern upbringing and his ability to provide humorous social commentary gives him a wealth of material that continues to gain him fans throughout the country.